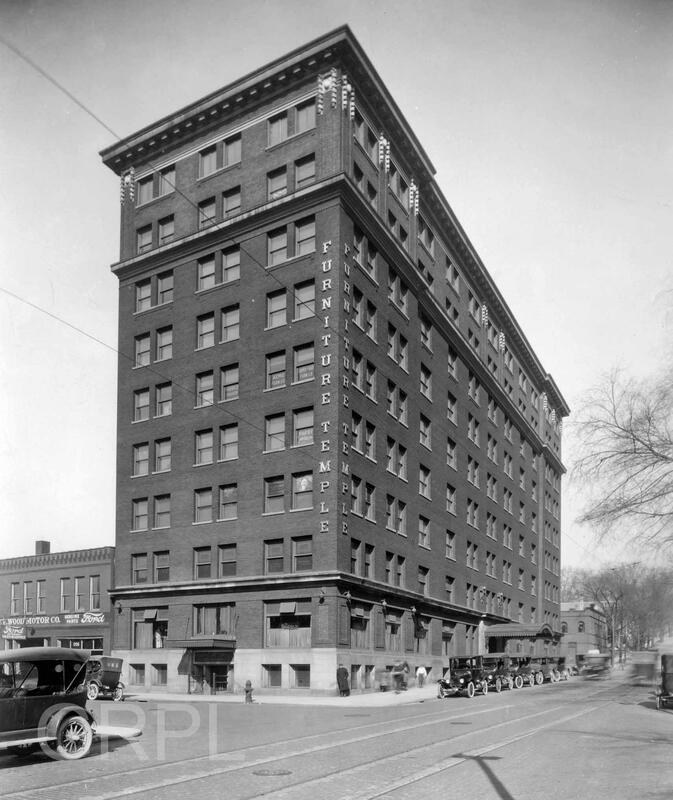 The Furniture Temple, a nine story building, faces Lyon St. between Ionia and Division Aves. Two verticle signs at the corner of the building spell out its name. Several automobiles from the 1920s are parked along Lyon St., and the trolley tracks and overhead lines can be seen. The current name is the Commerce Building and it is used for offices.